After a long wait Istria finally got its own topo! 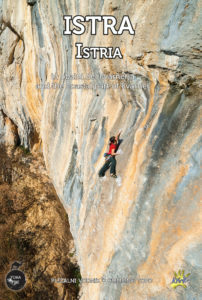 More than 300 pages, 350 color photo-topos for 1400 routes. 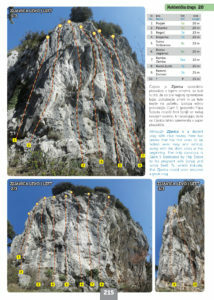 Obsessively researched and compiled for the best climbing experience in this blessed part of the Earth. 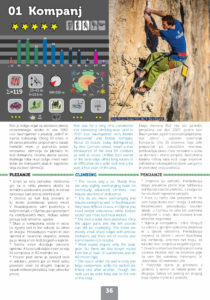 Detailed descriptions of crags and approach with GPS and QR codes. Chats with significant climbers, rest day suggestions, fun and informative stuff, great photos, tick lists and more. Covers the crags between Buzet and Rijeka: Kompanj, Krkuž, Balcony, Hum, Čiritež, HC, Nugla, Raspadalica, Pandora, Buzetski kanjon, Kamena vrata, Istarske toplice, Čepić, Ponte Porton, Pazin, Dvigrad, Limski kanal, Rovinj, Vinkuran, Rabac, Brseč, Mošćenička draga, Medveja, Vela draga, Kanjon Rječine, Veli vrh, Kamenjak. Go get it now here or on our sales points!